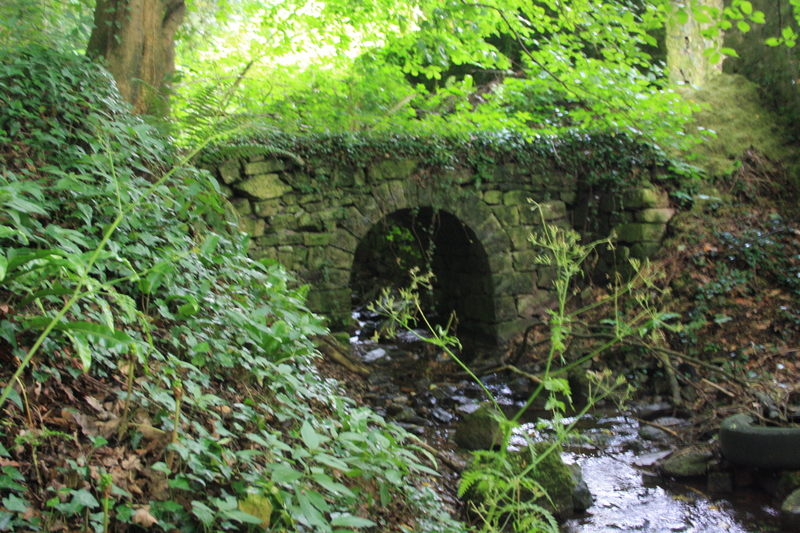 The village of Llanrhaeadr-yng-Nghinmeirch takes its name from the spring on the hillside which is now known as St Dyfnog’s Well. Llan=church and rhaeadr=waterfall. 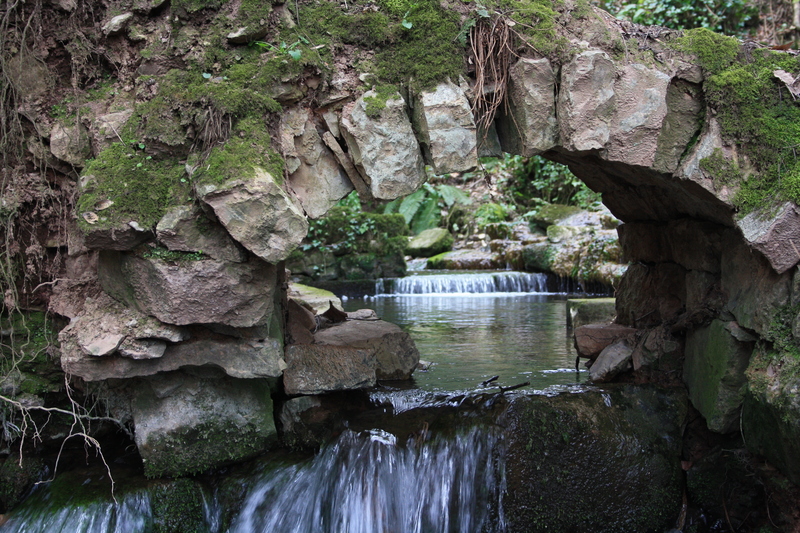 According to tradition St. Dyfnog lived at the site of the well spring named after him in the 6th century, doing penance by standing under the torrent in his hair shirt belted with an iron chain. The festival of St Dyfnog is 13th February. During the middle ages the well generated considerable wealth for the area, and the creation of the sixteenth century Jesse Window in the church was supposedly financed by revenue from the well, although there is an alternative tradition that it was relocated from Basingwerk Abbey following its dissolution. 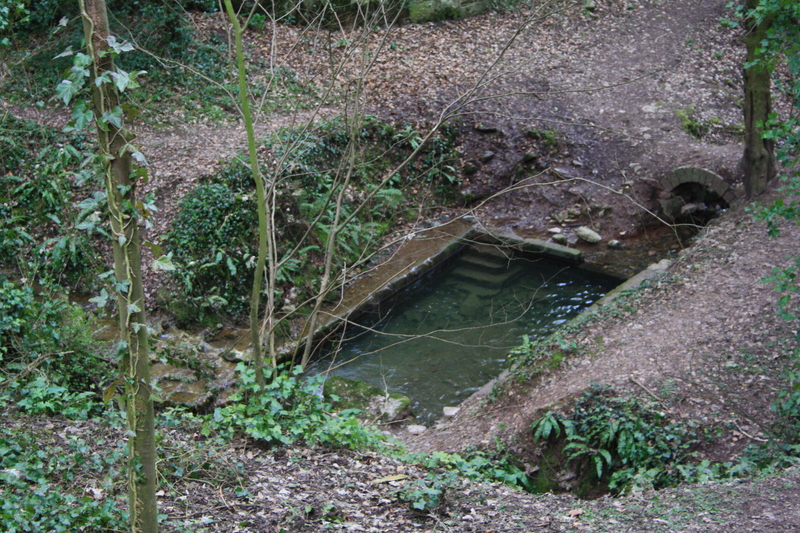 The buildings, including the reported marble linings to the pool, and statues have now disapperaed, leaving just the stone lined remains of the bathing pool .Remaining too, however, is evidence of the landscaped woodland path created to the site in the nineteenth century including a number of small stone bridges which cross the stream that descends from the well. There are actually two springs that feed the well, having variously, and sometimes confusingly been known as Ffynnon Dyfnog and Ffynnon Fair. Lhuyd in 1698 states that Ffynnon Fair is “a little above” Ffynnon Dyfnog. 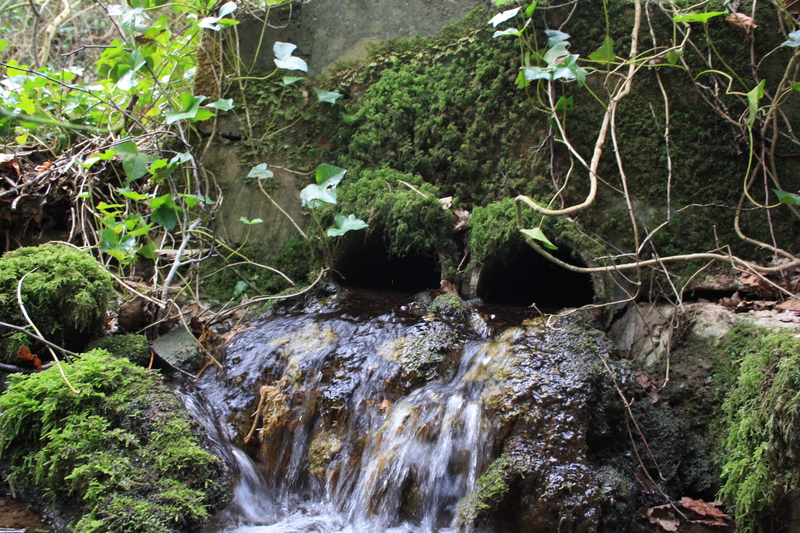 The Royal Commission report in 1914 implies that Lhuyd identified the main spring as Ffynnon Fair, however it is probable that this is an incorrect assumption, and this is more likely Ffynnon Dyfnog. 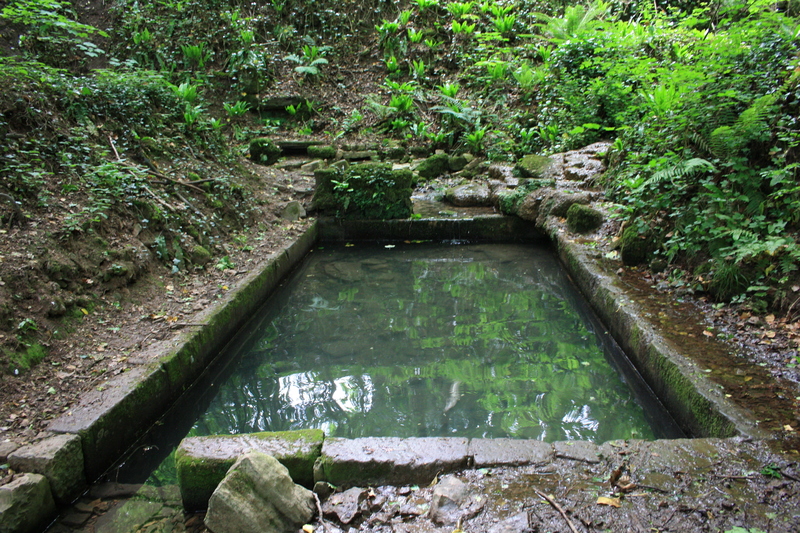 The main spring now rises from beneath a concrete slab to the northern end of the pool. this represents the strong flow noted in the past. 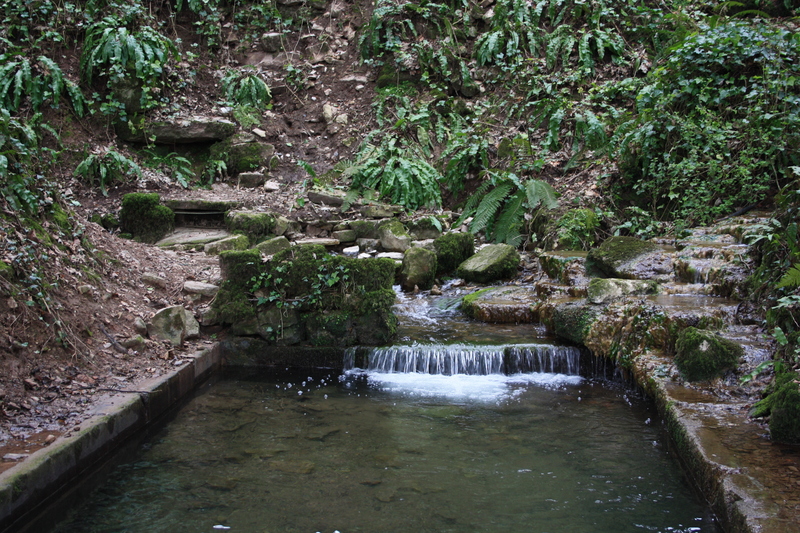 It now splits into two sections, one feeds the pool, the other forms a stream which flows past the pool and down the valley beside the church. The overflow from the pool rejoins this stream further down the valley. 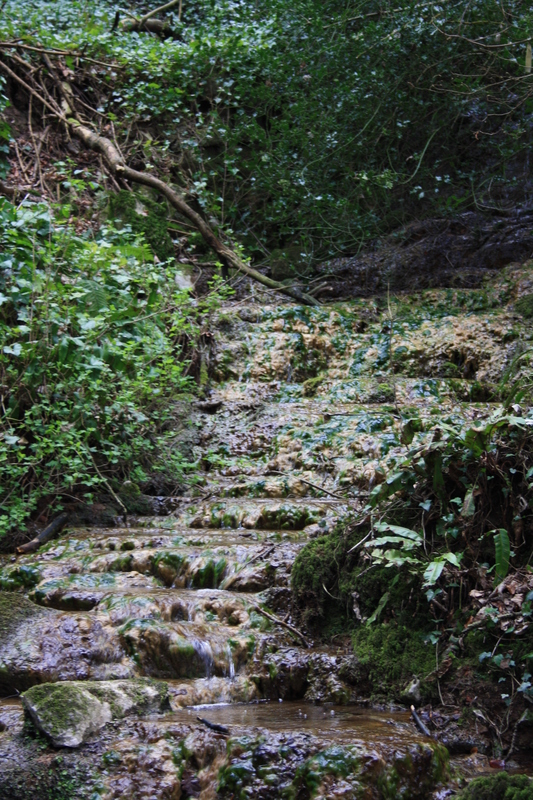 The CPAT visit report suggests that this stream may have at some time been diverted to the east as a leat, possibly to the gardens of Llanrhaeadr Hall; the now dry remains of this course can still be identified. Above this concrete outflow a dry gully can be seen, and it is possible that the original outfall of the spring was higher up here, since it was recorded that it originally sprung up within a cave. The second, much weaker, spring rises higher up to the north west of the pool. 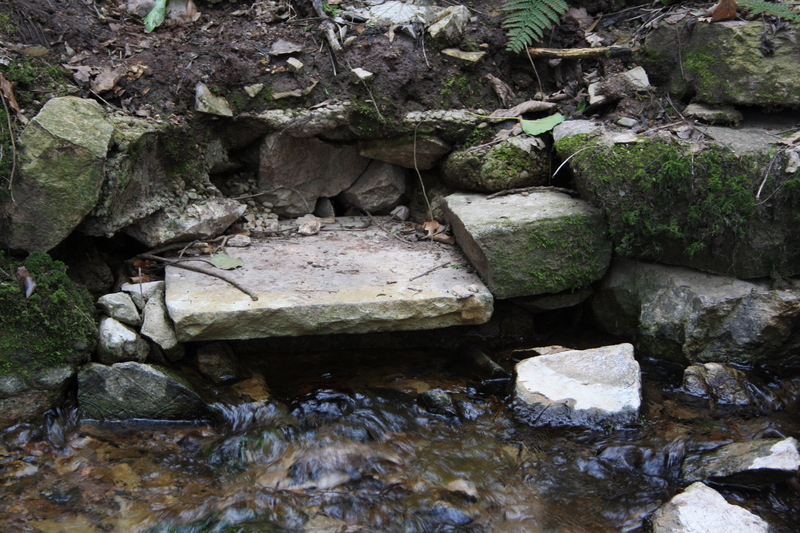 This may rise in a small cave, although it is now actually flows through two pipes set in concrete, before trickling down a bank to join the pool. Pitman Liz (2009) Pigsties and Paradise. Lady Diarists and the Tour of Wales 1795-1860. Gwasg Carreg Gwalch. Llanrwst.